that's X Resource Graph or XRG . Ok my last three desktop themes. Taken right before a storm on a vineyard near my girlfriends home. The picture was taken on a Adriatic island on my vacation. those look beautiful, self-defence. nice matching font colors too . Love the "calm before the storm" one - any chance you can let me have a copy of it??? That's what it looked like. There were actually three or four vortexes visible before the storm. But I didn't get to take a very good picture of the vortex unfortunately. I've never seen anything like it around here (so much for climate change). We may have done this before...but why not do it again? haha your desk looks just like mine does here at work. self-defence the background is not there anymore !! dynek -> a guy that that works for me was doing some maintenance work on the server and changed the permissions. I've fixed it now. You can tell I just <3 this wallpaper. Well here's mine for this mounth. This one is a photo of a neon glass ball taken at a long exposure. 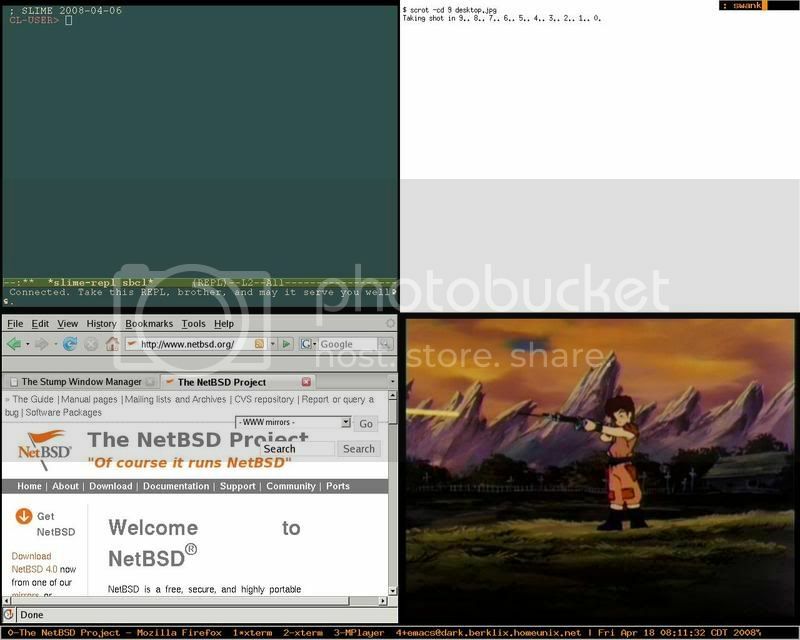 FreeBSD 7.0-amd64 with Gnome... nothing exciting. Linux had at least two completely independent USB stacks before Linus Torvalds rejected them both and wrote a third one from scratch, after he found both existent Linux stacks unsatisfactory.